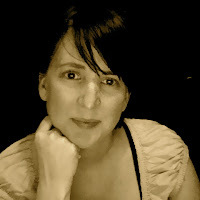 Laura has been a member of the guild since 2010 and is the current web admin for AMQG. She can be found blogging here! I am originally from a small town in Virginia just outside of Washington, DC called Burke. I lived there from the day I was born until I went off to college at Virginia Tech, where I received a degree in Chemical Engineering. After college I blindly moved to Austin and quickly fell in love with it's free spirit and friendliness, neither of which seem to exist for me in the suburbs of Washington, DC. Fourteen years later and I'm still here! I participated in my first quilt when I was in college. My uncle was expecting a baby so my grandmother asked family members to make quilt squares that she could put together into a quilt. I had sewn before, but had never quilted. I made a Jack-in-the-Box for my square – it was even interactive! It was just one square but I was hooked. As soon as I moved to Austin after college, I enrolled in a quilting class at the Quilt Store. As everyone brought out their fabric selection in the first class, I was sure I had done something wrong. Even though we had all bought our fabrics from the same store, I seemed to pick out all the bright colors, where everyone else had picked out more traditional muted colored fabric. But the instructor assured me that my choice of fabrics was just right! I really enjoy piecing. It's meditation to me. I'll put on iTunes and listen to a podcast or two and just sit and piece for hours on end. My least favorite thing? That first quilt stitch into the top I've spent so many hours piecing. I'm usually filled with anxiety when the needle goes into the top for the first time. Even though I spend a lot of time thinking about how I'm going to quilt a top, coming up with several options, I'm always nervous that I picked the wrong design. Yes, I wanted to learn how to mount a quilt top onto a canvas that could allow me to hang a quilt as artwork. I did recently take a class on this, and it was fantastic! I always have multiple projects going at once. Like I mentioned, I spend a lot of time thinking about how I'm going to quilt something, so while I'm thinking about it I will usually finish another top or two! Best thing I did for my sewing room involved two things that helped me to organize fabrics. First were project bins that I bought at Joanns (with a coupon, of course). They allow me to keep each top organized even if I put it aside to work on another one. The second item was a label maker that I use to label each project bin. I've been obsessed with the color chartreuse for quite sometime. I've tried to move on, but it's keeping it's hold on me for some reason. And it goes so well with this year's color, Tangerine Tango! 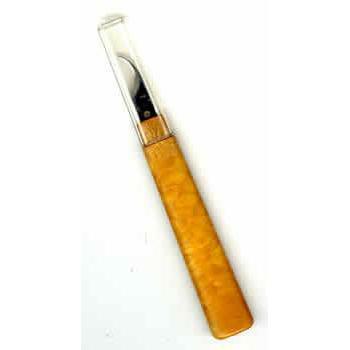 My surgical seam ripper. It is sharper, easier to use, and takes out stitches better than any of the traditional seam rippers that I used to use. I did have five, including a serger, but recently gave two of them away - one to my sister and one to goodwill. So now I'm just down to three. I've made most of the curtains in my house. I've tried to make my own clothes over the years, but I don't seem to have the clothes making gene. I also crochet, though I don't do much of it these days. I crocheted the scarf that I wore on my wedding day while on the plane ride up to Montana where we were married. I am also in the process of sewing diapers for a soon to be first born. Currently I'm working on the second of three (I think) quilts that I will make from some fabric I bought in Fabric Town in Japan. I used the fabric for the Supernova Quilt Along and am currently using some of it for a Winding Ways quilt. I have just enough scraps that I will likely be able to get one more quilt out of it. I am also a 2X cancer survivor - to clarify, I've had two different types of cancer five different times, all between the ages of 18 and 35. Having cancer as a young adult brings a unique set of issues compared to having it at any other age group. It's also an age group in which the survival rates have not improved in 30 years, while survival rates for other age groups have soared. As a result, I've worked over the years with a non-profit called Planet Cancer, now part of the Lance Armstrong Foundation, which addresses issues and advocates for cancer survivors in their 20s and 30s. It's a wonderful organization and one that definitely changed my life. If you know someone who is in their 20s or 30s with cancer, send them on over to www.planetcancer.org. It's a bit irreverent, but what better time in your life to be irreverent than when you are a 20 or 30 something with cancer! 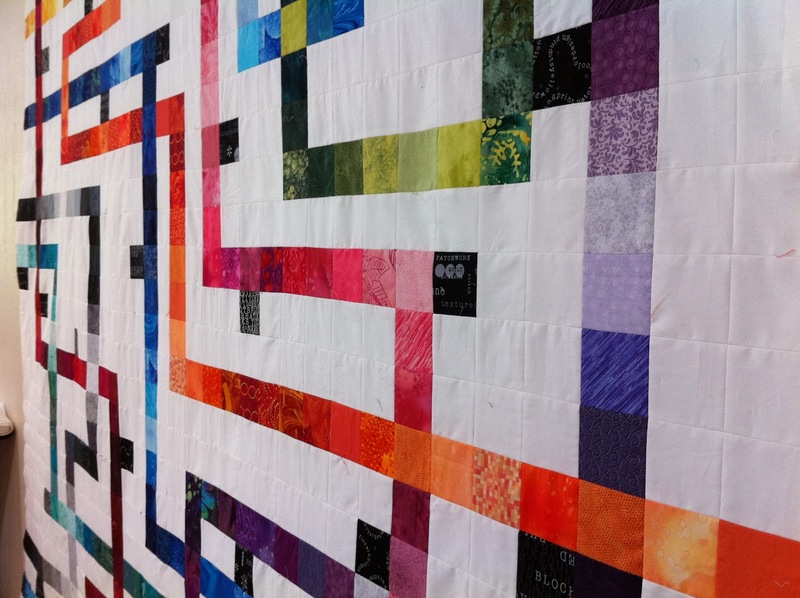 Our guild will be presenting information about the modern quilt movement with a lecture from Heather Grant and a show and tell to the members of the Main Street Quilt and Thread Guild on May 22nd. Please join us at the meeting to help members of the Quilt and Thread guild have a better understanding of modern quilting, and please bring some of your modern or art quilt pieces to show to the group. We will be at the Round Rock Library from 7:00 p.m. to 9:00 p.m. It's time for happy hour again, we'll meet in north Austin this time. Come hang out with your fellow quilters on May 30th at 6:00 p.m. for a night of fun! Ritas – $4.50, Domestic Beers $2.75, Imported Beers $3.00! Join us for great food and great drinks! This is the fifth month of our six month block swap. You can read about the details of the swap by clicking on the Block Swap tab at the top of the page. 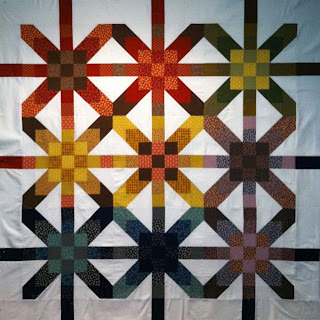 Lee of Freshly Pieced has written a tutorial for the Minnesota block, you can find it here. 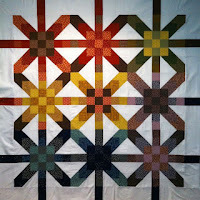 Katie of Swim, Bike, Quilt has written a tutorial for the Evening Star block, you can find it here.